Vadodara Municipal Corporation (VMC) Recruitment 2017 | Asst. 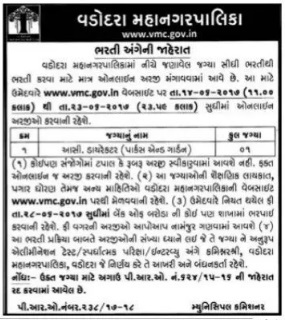 Director (Parks & Garden) Posts: Vadodara Municipal Corporation (VMC) has published recruitment for below mentioned Post 2017. More information please read below mention details carefully. Educational Qualification: B.Sc. (Agriculture/ Horticulture+Post Graduate in Horticulture.+ 03 (Three) years experience in the Horticultur. Age Limit: Not be more than 30 years. Relatable deserving cases. Fees: Rs. 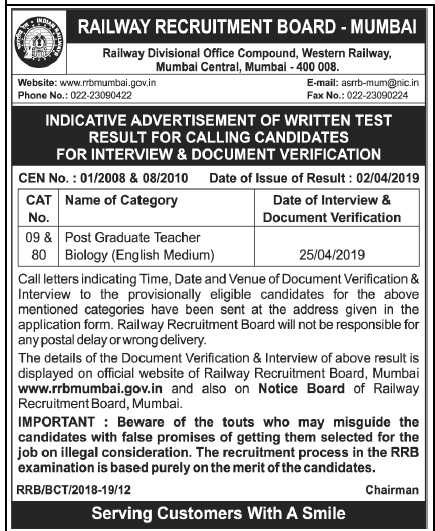 200/- for general category candidates.